Understanding the Standards Enhances Citizen’s Appreciation for Police Department | CALEA® | The Commission on Accreditation for Law Enforcement Agencies, Inc. The usual AccreditationWorks! article is from the agency CEO or accreditation manager describing some advantage realized by the agency through accreditation. This article will look at accreditation from a different perspective, that being from a civilian who has no background in or connection to public safety. 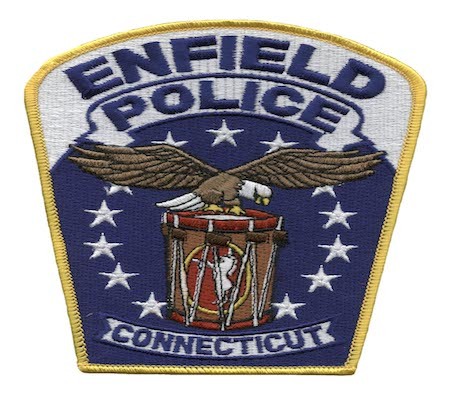 The Enfield (Connecticut) Taxpayers Association was formed over 20 years ago by a group of citizens who were unhappy with the local tax rate. They were concerned that their tax dollars were being squandered on unnecessary projects and inefficiencies in various segments of town government. Over the years this group has been responsible for the defeat of referendums, has influenced local elections, and has been a factor in procedural changes at various town departments. The association president, Mr. Sheridan, attends most every public meeting in the town and vigorously voices the concerns of the organization. The Enfield Police Department has been CALEA Law Enforcement Accredited since 1996. At its most recent reaccreditation assessment in April 2013, we announced and made available a copy of the CALEA Standards for Law Enforcement Agencies for review prior to the Public Informational Hearing as required. Having seen this, Mr. Sheridan came to the department and reviewed all the standards. (How often do we see a civilian actually review the standards?) When Mr. Sheridan signed up to speak at the hearing, we really did not know what to expect as far as compliments, criticisms, or both. As it turned out, much of what he said related to the standards themselves. He explained that he had spent his professional career working with specs and standards as an FAA certified mechanic for United Technologies and was surprised when he saw the CALEA Standards. He said after reviewing them, he was impressed because now he understood the breadth and depth of what was involved in being accredited. Now he realized that since the police department was in compliance with these standards, it meant that the actions of each officer would be the same, because the standards ensured that the officers understood the department’s policies and had been trained to the policies. Mr. Sheridan spoke of the professionalism that he had personally encountered during his contact with officers and said he thought the agency was improving all the time. He even cited the example that the chief’s annual budget presentation to the town council, based on the standards in chapter 17, raised the bar for clarity and depth of information. He also applauded CALEA for developing the standards and noted the on-going revisions were a good sign that CALEA was keeping current with the environment, which kept agencies abreast of the needed changes to policies. Mr. Sheridan said he had previously wondered why it was necessary for assessors to return every three years, but now he realized that having an assessment periodically was the best way to verify that the standards and revisions were being adhered to. He ended by saying CALEA and the Enfield Police were both doing a terrific job.